© 2017-2018 ARTIC FIVE. All Rights Reserved. Create a party for a hangout with friends, a birthday party, or maybe even for a wedding! Everyone gets to add their favorite songs assuring that everyone gets a say in what gets played. Vote for the songs you want to hear first and watch them climb to the top of the list! Can't make it to the party or event? No problem. Listen to the music remotely at the same time as everybody else! Run out of songs? No problem! We'll add some songs based on the ones already played to make sure the party keeps going strong. Gain access to statistics from your parties showing you which songs were most popular, when people where most active, etc. Plug you computer to your TV to let everyone watch the music videos. With Five you can create parties for all sorts of social events. 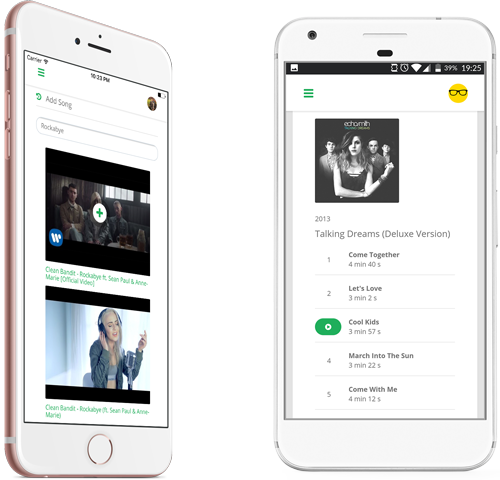 Simply provide your guests with a public link to access the party and they can immediately start adding songs. 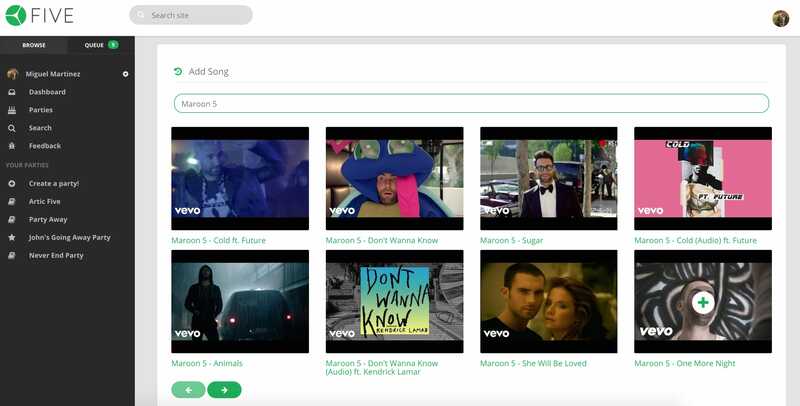 For a better experience, show Five through a television or screen so that everyone can see the upcoming songs. 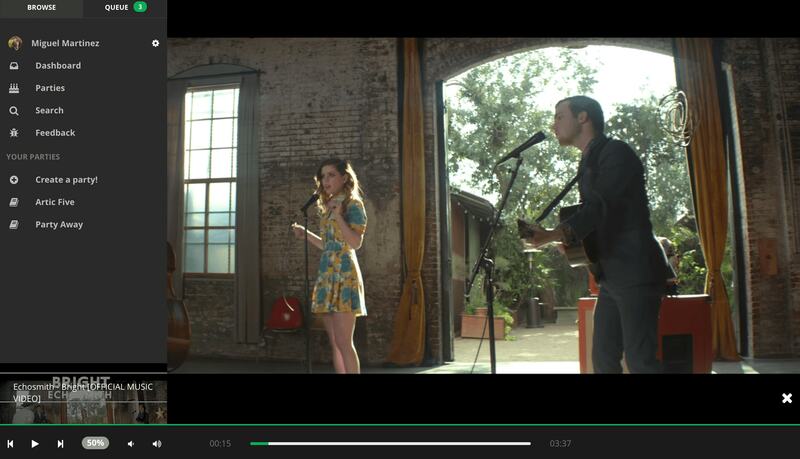 If you prefer, you can even switch to fullscreen mode to watch the music videos, adding to the ambience of the party. Finding songs has never been easier. Simply use our search bar to look for artists, songs, albums... you name it! Afterwards you're just a click away from adding your favorite song to the party and listening to it from the loudspeakers. Did Anyone Say Private Parties? We know sometimes you just want to party away with your friends. Heaven forbid that some stranger can add songs that might ruin the mood of our party. Introducing... private parties. Private parties work the same way as regular parties, except that they require a password to access. This will prevent unwanted party crashers from having too much fun at our expense. Try the Five Music mobile app and take your music playlist with you wherever you go! Now you can easily participate in parties at the actual event or party! Five Music is free to use for public parties. You also get 15 personal parties for free! Automatically add songs to party before running out! Discover the power of collaborative music. Get people together in a room and choose what music is played. Democratic music for all. Love music as much as we do? Sign up and get the latest updates and features before everyone else does. We don't spam, and you can unsubscribe at any time. © Artic Five. All Rights Reserved.